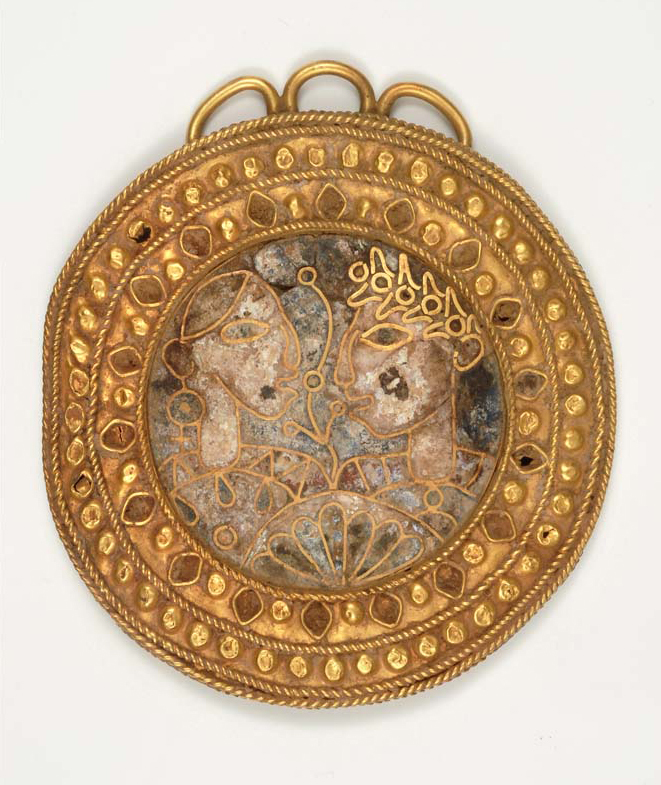 I’m so glad to hear that you are pleased with the Sangiorgi brooch,BZ.1933.5. dearest Mildred. I thought you would be. Hayford is delighted that you have got it—he was at Antigny last summer when it came to see us there.See letter of August 21, 1933. I have just come from London to Paris. Paris distressed me: I’ve never, even in the darkest days of the war, seen the French so downhearted. Several of them told me they couldn’t bear the idea of going abroad now, so conscious were they of the shadow the Stavisky scandalThe Stavisky Affair was a financial scandal initiated by Serge Alexandre Stavisky (1888–1934), who released in Bayonne fake bonds worth millions of francs that were sanctioned by the official ministries and backed by the surety of what Stavisky called the emeralds of the late empress of Germany but that later turned out to be glass. Faced with exposure in December 1933, Stavisky fled, but on January 8, 1934, the police found him. According to the police, Stavisky committed suicide, but there was speculation that the police killed him. See Paul F. Jankowski, Stavisky: A Confidence Man in the Republic of Virtue (Ithaca: Cornell University Press, 2002). has cast on France’s name. The business has made many of them feel envious of the order and ruthless repression of political hankey-pankey that is seen in Italy and Germany. There is a good deal of recognition of this aspect of Nazism in France now, and perhaps a budding intention to try to make terms with a system that has had such striking results. Poland’s action in settling with GermanyThe German–Polish Non-Aggression Pact, an international treaty between Nazi Germany and the Second Polish Republic that was signed on January 26, 1934. In this treaty, both countries pledged to resolve their problems for a period of ten years through bilateral negotiations rather than armed conflict. has given the French much to think about, and I heard some of them say the Poles were right enough, from their point of view. It all stirred me; hopes and fears for France, and love for it. How one appreciates them when one spends most of one’s time elsewhere. I’m enclosing a line for Robert.This letter has not been retained. I’m thinking of trying to go to USA in early June. How would that do?